I have to admit in the nearly two years we've been in our "new" home, the novelty of having more than one bathroom has certainly not worn off. 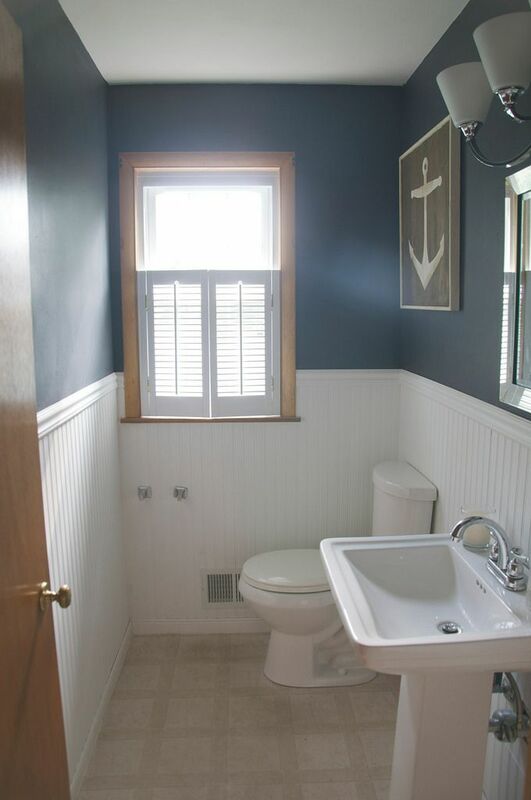 Our first house had a tiny, window-less bathroom on the second floor. One toilet. One sink. One tub and shower. And it was fine . . . until it wasn't. I remember dragging my huge pregnant self up the stairs in the final weeks before Ada was born and, ugh, it was pure torture. 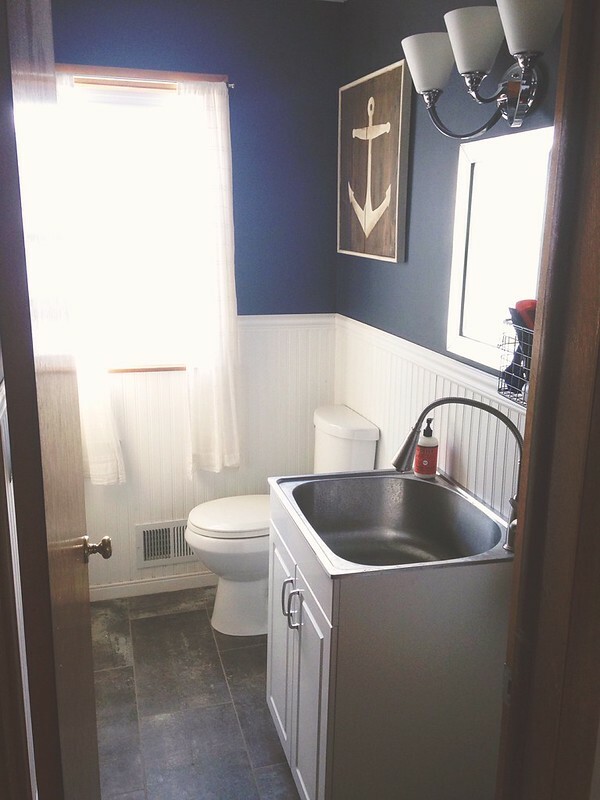 The one thing we never liked about the bathroom off the kitchen was the pedestal sink. (Well, and the impossible-to-clean flooring.) I mean, it was lovely looking. But it was always unstable because it wasn't installed properly. Then we had the whole matter of a four-year-old hanging all over it. We tightened and tightened and secured. It'd never fail, though. A couple weeks or months later, everything would be loose again. This time? The plumbing connections started to fail. Leaks -- we had enough. 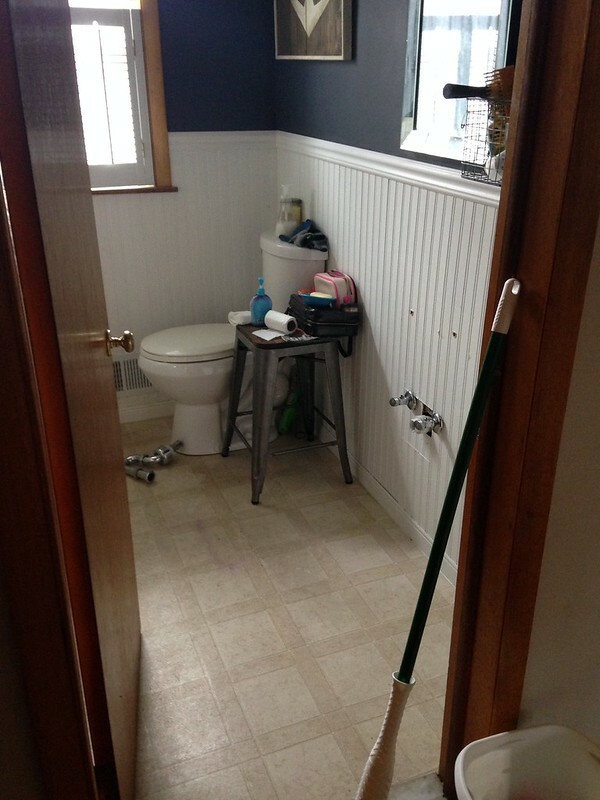 All the while, we've really wanted to expand the use of the bathroom and make it more utilitarian. 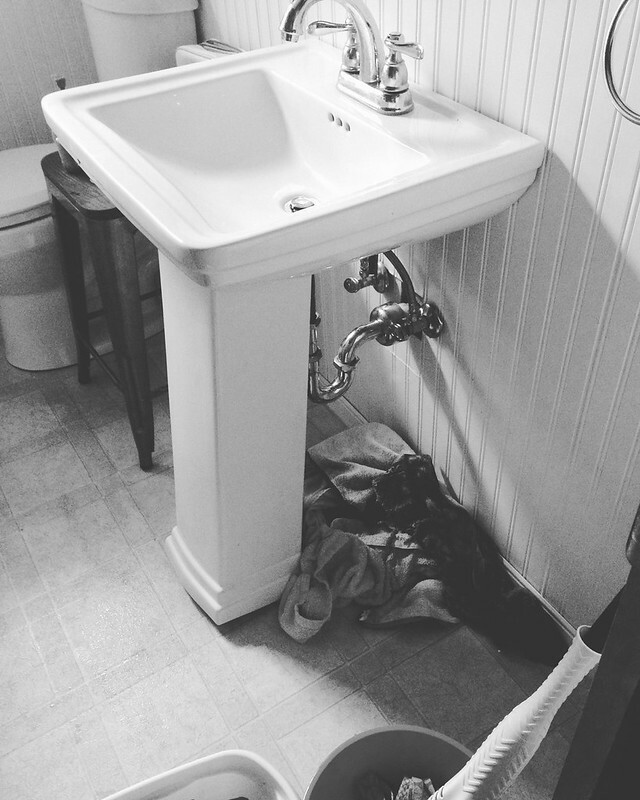 We wanted a nice, deep sink for soaking or spraying off muddy shoes, dirty scrub brushes, (maybe bathing baby? ), etc. A good cabinet as a place to store all our homemade cleaning supplies. Most of all, we wanted it to be sturdy. I've been eyeing laundry sinks for the space, but most of them were too deep to fit. 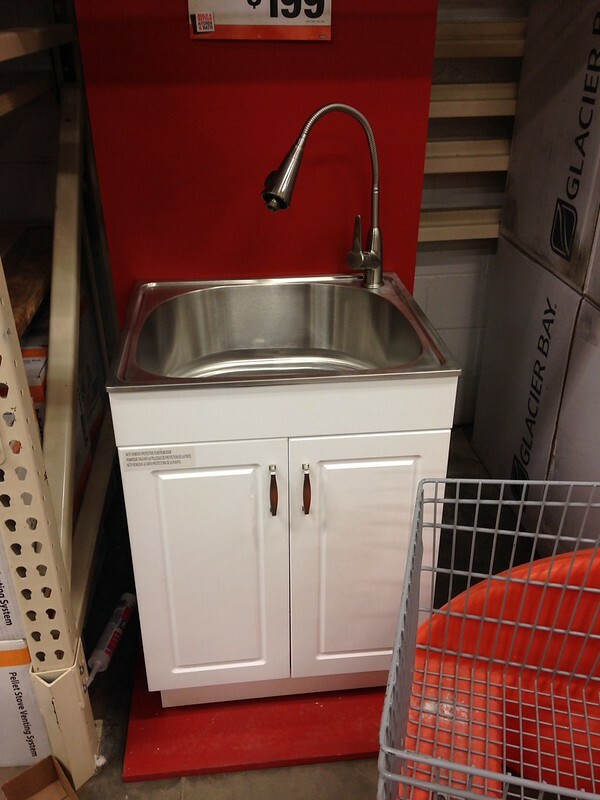 When we decided we wanted to change the sink, like, NOW -- I was thrilled to discover that Home Depot now carries a laundry sink cabinet that is under 22 inches deep with lots of storage and an AWESOME spray thing. We rushed right over to pick it up along with some new vinyl tile flooring we've been meaning to install. Stephen installed the sink in a matter of an hour. We love it. Stainless steel is perfect. The sprayer is already getting good use. The sink itself is 9 inches deep, so I definitely think we'll be bathing the baby in here often. And, like I mentioned, while we were at it, we changed the flooring by getting some of those 12 inch by 24 inch vinyl tiles and using grout to make them look more like real stone. 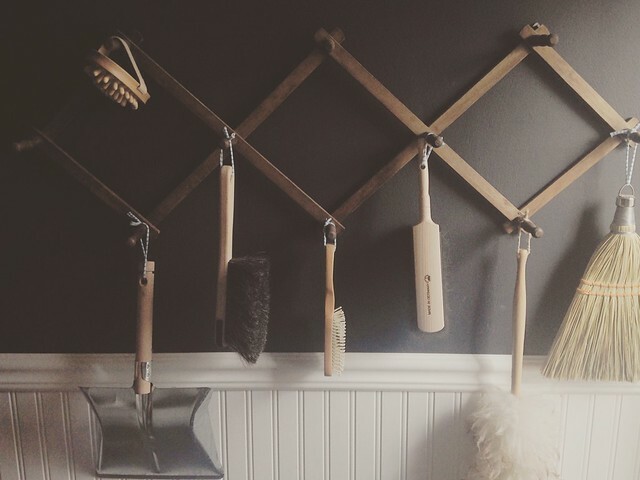 Overall, it's made us love this bathroom. It's the one our guests use when they're visiting, so it's nice to have it looking sharp. It's also nice to have a super messy craft project with Ada and have a great place to stick all the paint and goo until we can clean it. I can't believe I'm so excited about a simple sink.